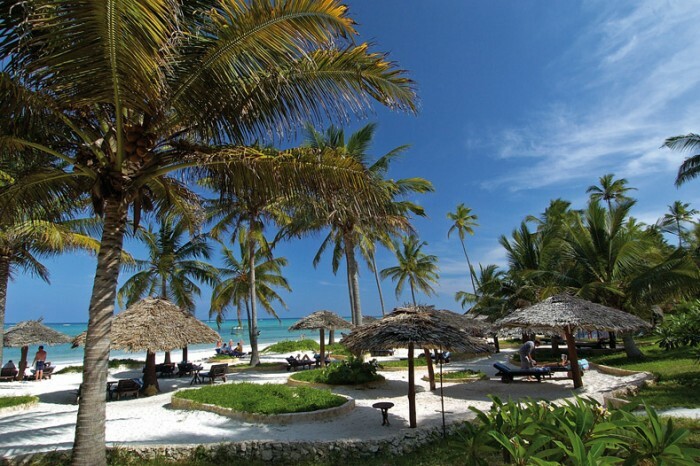 Located on the east coast of Zanzibar, this beautiful resort has 3 room categoris ranging from Deluxe, Standard & Deluxe rooms each have their own style to suit your budget. Deluxe & Suites are near the sea. The standard rooms are located away from the sea and have a terrace and garden view. The suites are on the upper floor of the bungalows and offer large balcony and sub beds, private sun bathing area. This resort offers amenities like spa, yoga & meditation. Activities; Beach volleyball, pedal boats, canoes, snorkelling, windsurfing & sailing. Breezes boasts of one of the most experienced & professional diving centres. Teh Rising Sun Dive Center is a licensed PADI dive center. It is has experienced diving instructors of a one to one. Enjoy excursions offered here to include; Swahili day, Stone Town tour, Spice Tour & Jozani Forest Tour.